I am the grandfather of five little boys and I hear their parents are inclined to get them a pet dog. Myself, I had been bitten when I was a child and as a result I do not like dogs. The line used by a friend who owned a German Shepherd - and by many dog owners generally - most often is, “oh, he’s just a gentle puppy, wouldn’t harm anyone.” The reality is vastly different. There is a huge number of small children, under 10 with significantly life-changing, traumatic injuries as a result of dog bites. Pet dogs - owned by a child's family, relative or close friends - are responsible for 84 per cent of dog bites. Of those children seen at the hospital, about half were under four years of age. And about 70 per cent had been bitten on the face. Bites represent a huge proportion of the children's hospital workload and a massive cost to the health system. About one in three households in Australia owns a dog. 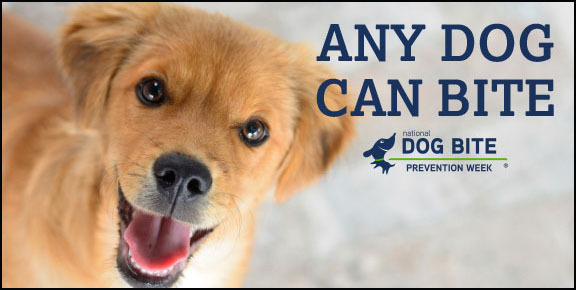 Families are urged to anticipate situations that could trigger bites, such as a new child or a small child poking an older dog. "Even the 'best' family dog has potential [to bite], and put in the wrong situation it happens, and too regularly for us. No matter how familiar the dog is, and even if it is understood to be a friendly dog - something I hear all the time - if that dog is even accidentally woken up with a sudden start, or accidentally poked in the eye, or pulled on the ear, or given a fright, their natural instinct is to snap, and they go for the face because that's what they do to each other," a doctor said. p.s. I used a very benign image for this blog, I resisted publishing realistic images of dog bites. If you are inclined to get a dog for your family, you may want to google "dog bites" or even "deaths from dog bites" and click "images". But brace yourself! Barend Nieuwstraten I think dogs, much like children, are the product of the environment in which they're raised. Rebecca Lauderdale My dog is generally very good around children, but you are right, there is always a chance that they will growl, snap or bite someone. I honestly believe that you need to train/educate the children about respecting the dog. I do this with my friends kids when they’re doing something I can see causes my dog stress (like chasing him with a broom into a corner or banging cymbals). If that are considering a dog I’d definitely recommend doing the research on what breed is best suited to their family and circumstances, not just what breed they like the look of. ... I remember a magazine article in Germany (Stern magazine) that produced a report on the dangers of especially that breed. As you read the report and then turned the page, you were confronted with a double page photo of the scene in a quarry ... in the centre of the photo was the GS, sitting to attention, next to the body of his 10 yr old "master". The child was trusted to go anywhere, as long as he was with the dog, who had grown up with him and was trained to protect him. Nobody knew what had happened, but apparently the dog had killed him (and eaten the flesh of his arm!). This is not - as extreme as it is - an isolated case, as was made clear in the article. So the advice in the article that I quote - reflected in Rebecca's comment - is that whatever dog you trust your children with, it is your children who need to be educated about how to treat the dog and how to live with it. Thank you for your contributions, guys.